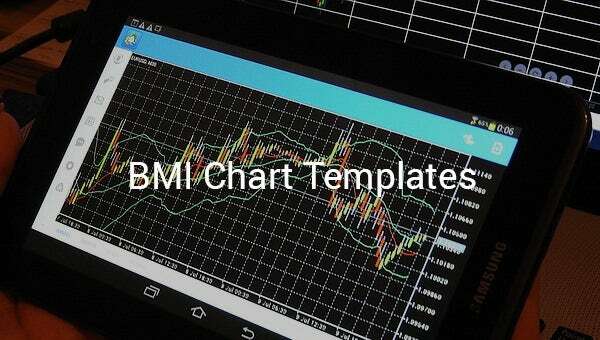 11+ BMI Chart Template – Free Sample, Example, Format Download! 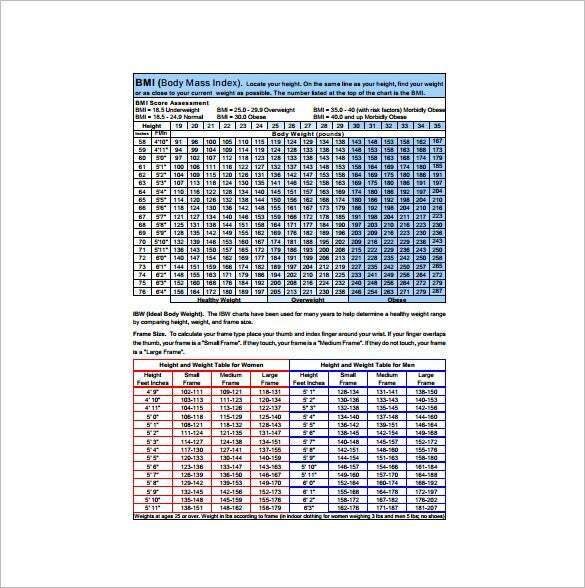 nhlbi.nih.gov The sample BMI chart template is a comprehensive chart that indicates a person’s BMI index by checking the height and weight and telling them whether they are normal, overweight, obese or extremely obese. 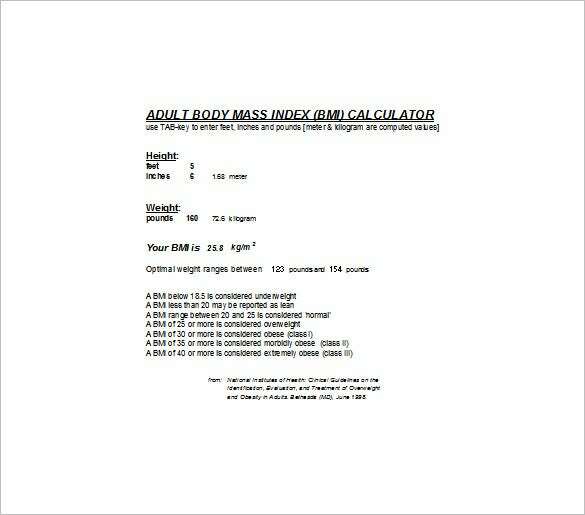 minneapolis.va.gov | Another comprehensive BMI chart, the BMI color chart shows the index over a large scale of height and weight. The colors white, green, yellow, dark yellow and orange indicates, underweight, normal, overweight, obese and extremely obese. 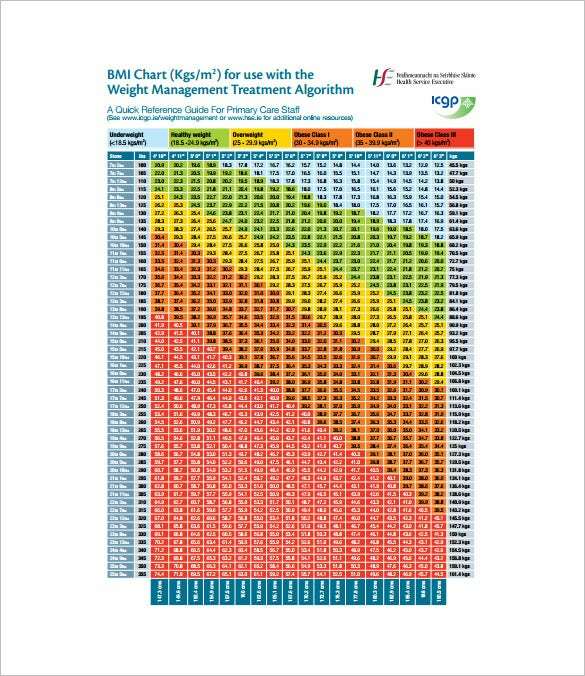 healthpromotion.ie | A BMI chart with wide range values, this BMI index is for everybody. 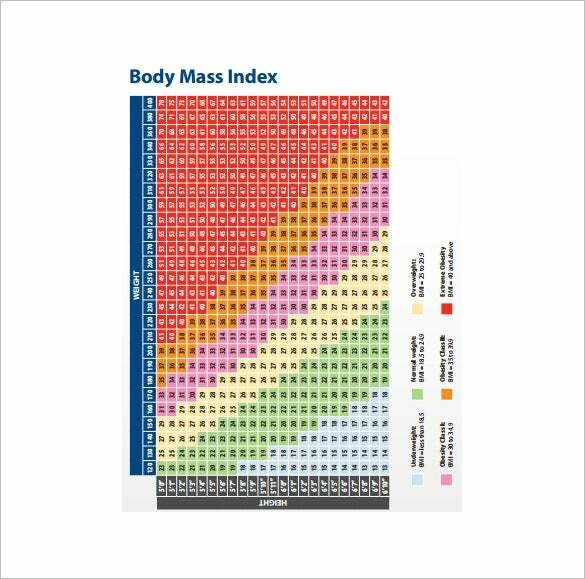 Using color to indicate underweight, normal, overweight, obese and extremely obese, the BMI chart can be used by a large number of people within those height ranges. 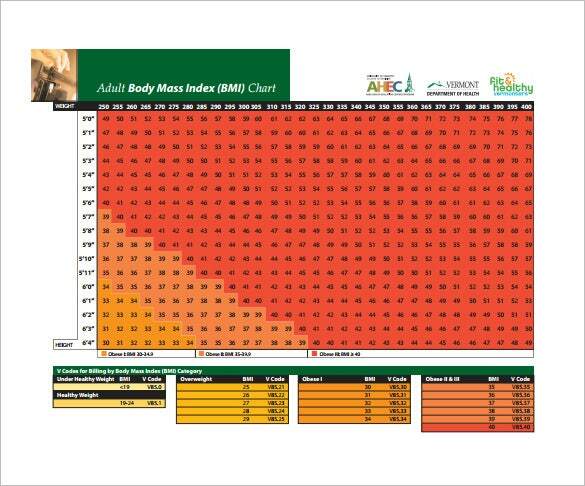 uvm.edu | The adult body mass index chart is for the people already suffering from obesity. 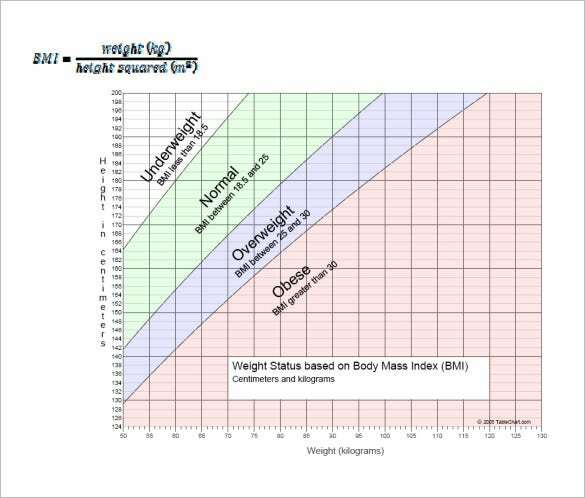 Height range is in between 5’0” to 6’4” and weight ranges between 250 lb to 400 lb. It indicates whether a person is overweight, obese or extremely obese. 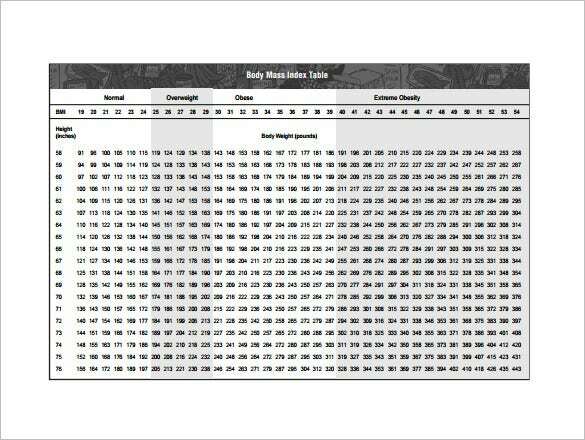 kbcc.cuny.edu | The BMI chart formula template for men is a graph with height in y axis and weight in x axis. 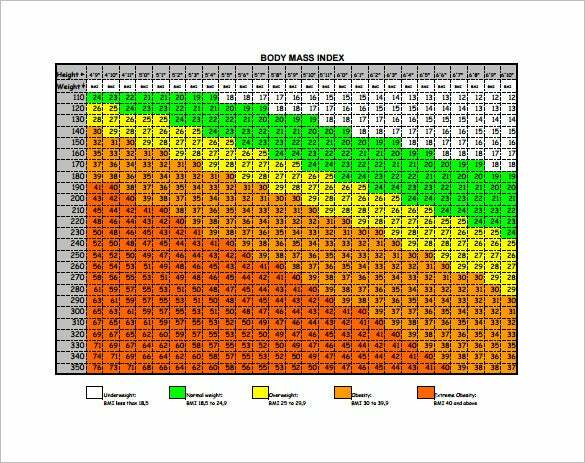 The distinct indices are colored according to the stage they represents like underweight, normal, overweight, obese. 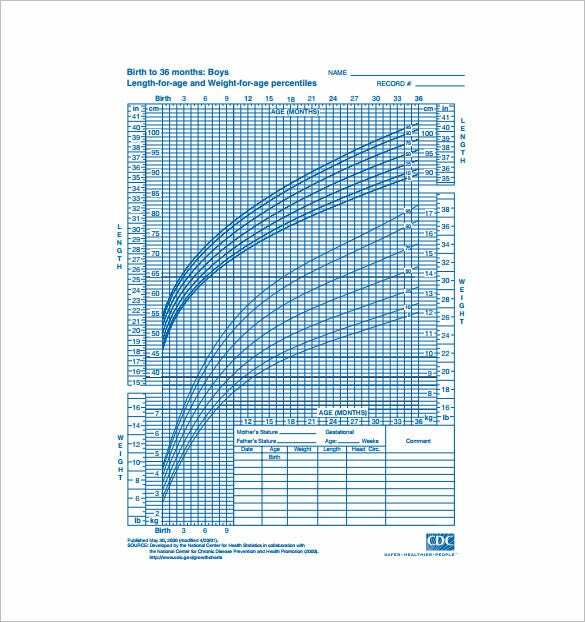 cdc.gov | This CDC BMI Chart template is meant for boys , spanning the time since birth till 36 months. 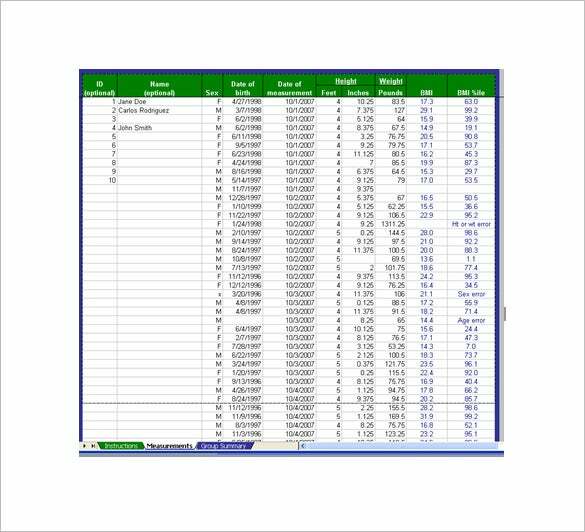 It has come up with length-for-age & weight-for-age percentiles. The end part of the chart is a form to be filled by parents. 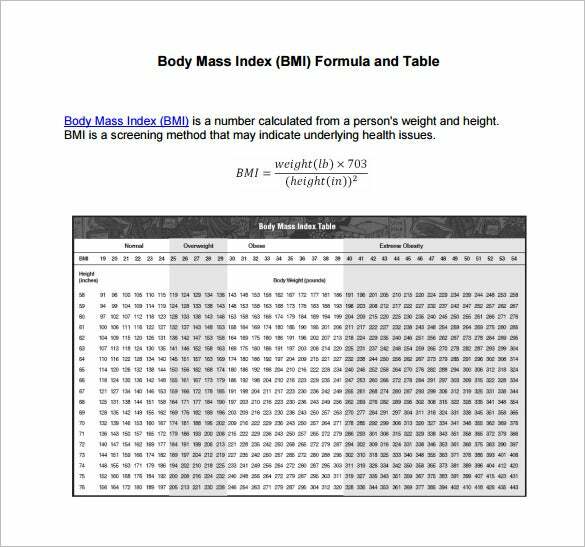 faa.gov | This BMI formula chart sample provides a comprehensive data on indices to check whether a person is underweight, normal, obese or extremely obese. 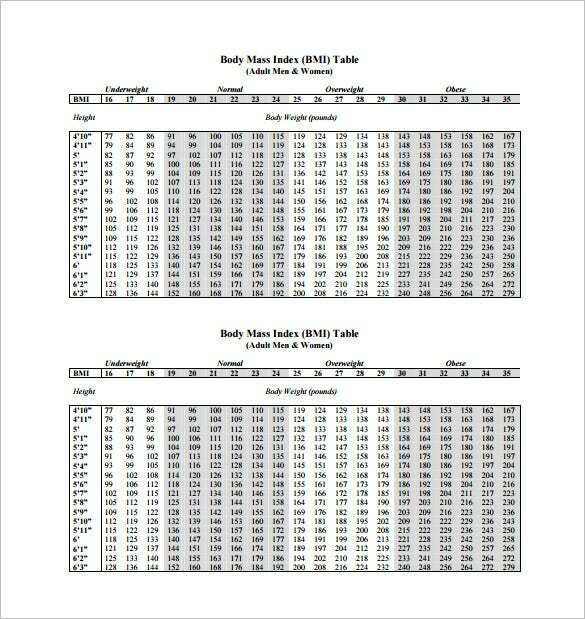 It also includes the BMI formula for those who would like to test the BMI table.